If you have been sitting on the fence trying to decide if you are ready to take the plunge and get that new Xbox Game Pass membership, April may be the best month to do so. Currently, online retailer Amazon is offering a deal where you can buy a three-month Xbox Game Pass and get three months free. In addition, Microsoft has announced that six new games will be added to the service but won’t reveal the titles until today, April 10. Starting on Thursday, April 11, 2019, Microsoft plans to offer new and inactive subscribers three months of Xbox Game Pass for just $1. Yup, you read that right: just a measly sawbuck. The thing is, the company hasn’t exactly made an actual announcement setting out the details of the promotion. The details can actually be found buried toward the bottom of the Xbox Game Pass sign-up page under Description. The offer will go live this Thursday, April 11, at 9 PM PT / Friday, April 12 at 12 AM ET and be available until May 13 at 12 AM PT / 3 AM ET. You can’t combine this offer with other promotions, and you can only claim it once per account. Finally, after the three months are over, you will be charged the full monthly membership price unless you cancel. 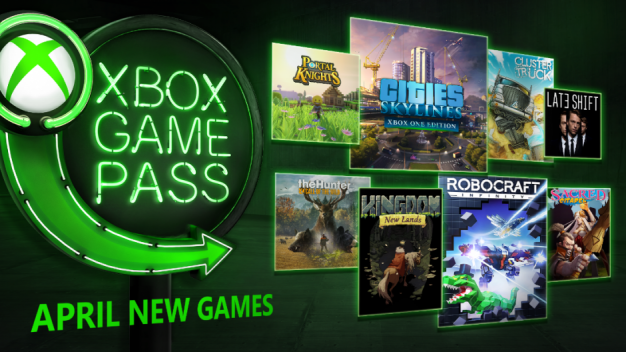 Xbox Game Pass presents subscribers with unlimited access to over 100 Xbox One and Xbox 360 games, which you can download, play, and keep as long as you remain a member in good standing. New games are added to the service on a regular basis, while others are replaced. Normally, Xbox Game Pass will run you $10 per month, so this is a great opportunity to get three months for over 96% off.